There have in fact been many screen versions of Bram Stoker’s classic tale of Dracula, but none more famous or enduring than the 1931 original. Starring Béla Lugosi as the world’s best known vampire and directed by horror specialist Tod Browning, Universal Studios’ Dracula creates an eerie, chilling mood that has rarely been realized since. Dracula’s initial theatrical release coincided with the transition from silent pictures to “talkies.” At that time limited technology existed to present the film as a sound picture, so no musical score was ever composed and there were few sound effects. Browning relied on Lugosi’s legendary Hungarian accent to give the film its distinctive sound. Philip Glass and Kronos Quartet made their first collaborative recording in 1985 for the Paul Schrader film Mishima, after which Kronos commissioned the composer’s Quartet No. 5, and subsequently recorded it along with three others for a 1995 Nonesuch release. Music by Philip Glass. Composed for the film Dracula. Performed by Kronos Quartet: David Harrington, violin. John Sherba, violin. Hank Dutt, viola. Joan Jeanrenaud, cello. Produced by Judith Sherman, Michael Riesman and Kurt Munkacsi. Nonesuch Production: Karina Beznicki. Executive Producer for Dunvagen Music: Jim Keller. Executive Producer: Robert Hurwitz. Recorded August 1998, at Skywalker Sound, Nicasio, CA. Engineered by Bob Levy. Assistant Engineer: Judy Kirschner. Edited by Judith Sherman and Jeanne Velonis. Mastered by Judith Sherman and David Harrington at SoundByte Productions, New York, NY. Production Coordinators: Veronica Arroyo and Amanda Riesman. Production Assistants: Steff van de Gevel, Don Christensen, Dylan Drazen, Emily Shannon, Seam McCaul, Jaime Mereness. Kevin Reilly, Hideyuki Waki. Design by John Gall. Artwork from the motion picture Dracula provided courtesy of Universal Studios Home Video, Inc. © 1931, 1999 Universal Studios, All Rights Reserved. Dracula is now available on videocassette from Universal Studios Home Video. Bela LugosiTM and Bela Lugosi as DraculaTM characters, names and all related indicia are trademarks of Bela G. Lugosi. © 1999 Bela G. Lugosi. All Rights Reserved. For the Kronos Quartet: Janet Cowperthwaite, Managing Director: with Sidney Chen, Ave Maria Hackett, Leslie Dean Mainer. Larry Neff, Laird Rodet, and Sandra Schaaf. For Euphorbia Productions, Ltd., New York, NY: Michael Riesman, Kurt Munkacsi, and Jim Keller. 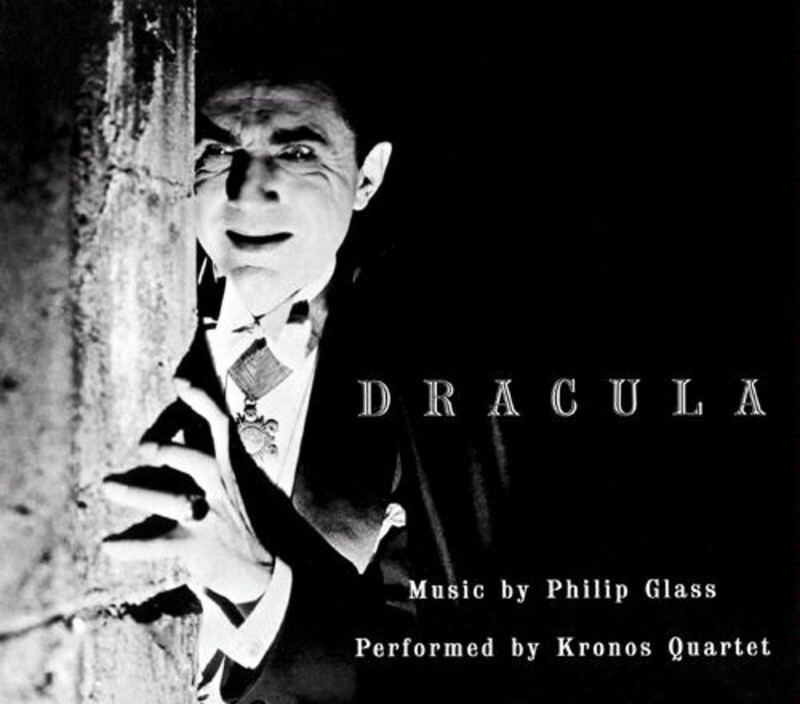 Dracula score published by MCA Music Publishing Co. Philip Glass’s music published by Dunvagen Music Publishers, Inc., New York, NY.